Hello everyone! I haven’t talked about fitness in awhile because I’ve been on again off again with my summer schedule. One of the reasons I love fall is because I am always so motivated to work out – the weather is perfect for walking and running outside and those long runs watching the leaves fall is simply amazing! I’ve also been updating my fitness style – I always feel better about working out when I have cute workout style. I received some new sports bras from Lily of France, and they are super chic and cute, yet give me the support I need for running, gym days, and lifting. I try to work out four to five times a week, plus walk the dog every night so at least I’m getting something in – but honestly I’ve only been getting about one or two work outs in a week before our recent move. That will change now that we are getting settled into the new place! On other weeks, I do as much as I can to switch it up. My fall work out schedule is heavy on running because again, I LOVE running during the fall. Perfect temps and scenery. I normally only run a couple miles, which may not seem like a lot, but it seems to work for me. On Saturdays I’ll try to run a bit further. How chic is this bra?! I love the criss cross back, looks great with some of my open-back and mesh fitness tops. I love wearing yoga pants for any type of work out, but definitely when I’m walking Emma. This Lily of France Sports Bra in Pink is so fun and perfect for medium impact work outs – like walking the dog or doing some biking in the gym. Also, my go-to work out shoe has been the Nike Air frees, which is why I have two pairs now. I love them for running, but also love Asics. I love this next sports bra because it is reversible. 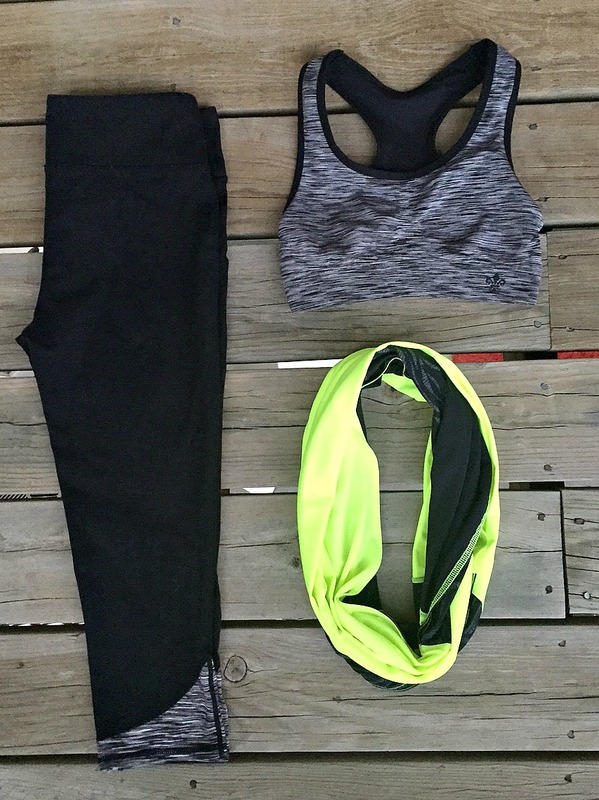 The Lily of France Reversible Sports Bra will be great with a long sleeve, open back top and this scarf from Fabletics! And BOOM, here it is on the black side – still super chic and perfectly matches my leggings! Again, sporting the Nike Air style because they are my favorite sneakers right now. What are your favorite workouts or workout styles? Tell me in the comments! 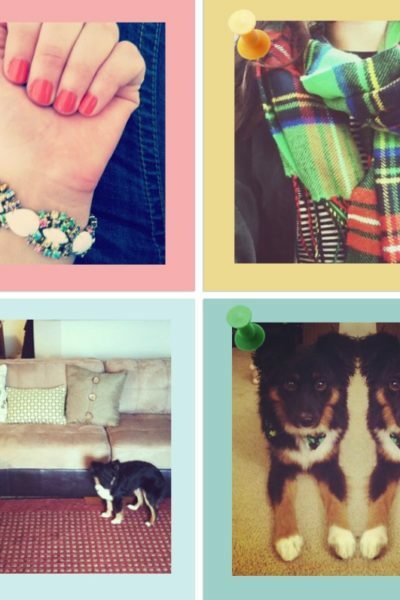 I am always looking for ways to switch things up so I don’t get bored or it doesn’t feel too much like a routine. Also, if you are looking for a good smoothie recipe, this is my favorite green smoothie recipe (easy peasy)! I love to get a little workout in daily myself. I alternate between cardio days and weight and toning days. I like to do them on separate days. I love all your workout outfits. I especially love that reversible top. Thanks for sharing these with us. Your workout schedule makes me tired! Good for you. 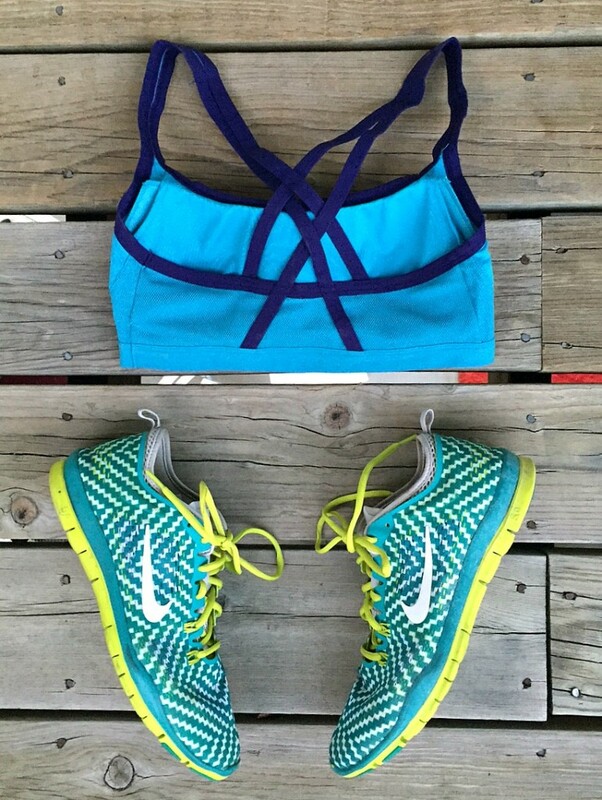 These workout clothes are so fun! 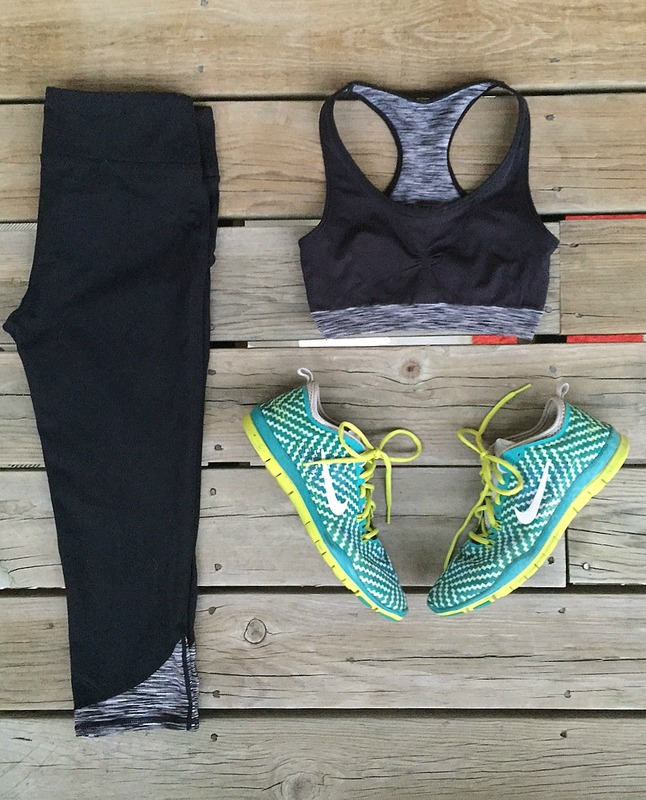 Loving those sneakers and leggings! I love cute workout clothes, good for you for sticking to a schedule. 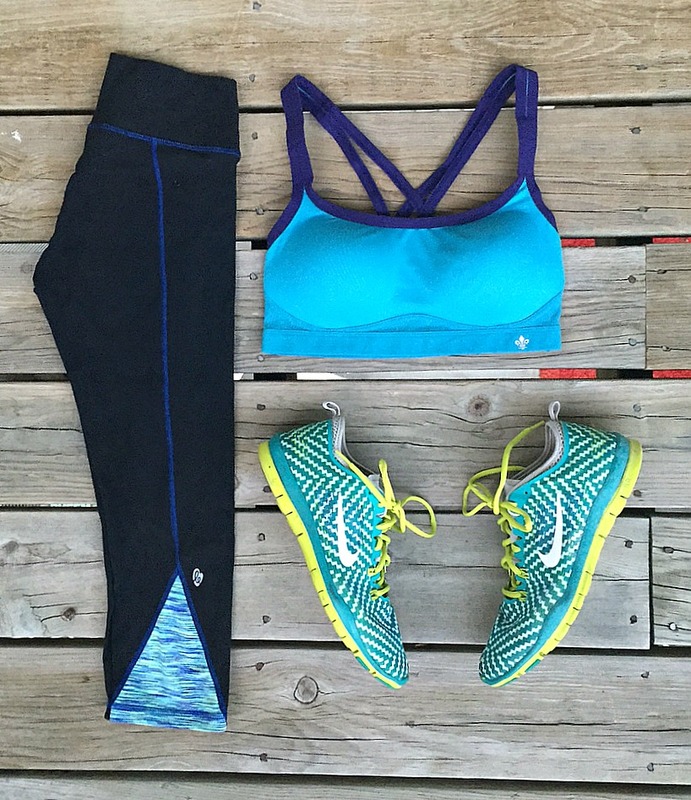 There is nothing like great work out clothes to get you in the mood to exercise! I’m loving the sports bra with the criss cross back. wow love all of these! xO!